All of the products were purchased by me personally, and I have not received any kind of compensation for this review. The post does contain some affiliate links. The Persil Universal Megaperls detergent is meant primarily for whites, even though the “universal” part in the name might lead you to think otherwise. It contains OBAs, oxygen bleach and TAED to activate the oxy bleach at lower temperatures, as well as five enzymes in a highly concentrated formula. In my 2 cu.ft. machine with moderately hard water I use on average 2-2.5 Tbsp of the granulated detergent, which means an “18 load” pack lasts me for months, and some people can go as low as 3/4-1 Tbsp of detergent (I have never had much luck with super low doses though). The cleaning power is AWESOME – whites come out brilliantly white, and it even “cured” some old pillowcase dinginess for me (see the picture at the bottom of this post). The scent is a traditional, clean one (not fruity or floral, which is a huge plus for me) and in my machine at the dosage I use it has medium staying powder. I do prefer to use a touch of fabric softener on sheets that I wash with this Persil, otherwise they have a lot of wrinkles out of the dryer, but I find that to be the case with most powder detergents that contain zeolites. This is one of my two preferred detergents for whites, and my go-to for heavily soiled laundry – nothing gets white socks as clean. I also add about 3/4 Tbsp of sodium percarbonate (an oxygen bleach) to each super dirty load, and use the Heavy Soil/Extra White/Hot settings in my Miele W3038 to imitate a profile wash – the washer fills with cold water that then gets gradually heated with the internal heater (this gives more time for the enzymes to do their thing, since they work best at warm temperatures). That combination has removed mascara, red wine sauce, blood, espresso – even on clothes that had not been washed immediately. Persil Color Megaperls is one of those rare powder detergents that combine strong cleaning power (five enzymes!) and do not contain oxy bleach or, more importantly, OBAs, which can give dark clothes a faded/gray look with regular use. The cleaning power is very decent, especially considering that you use cooler water for darks and colors. The scent is clean, similar to the Universal but slightly stronger, with medium to strong staying power at my dosage of 2.5 Tbps/load. 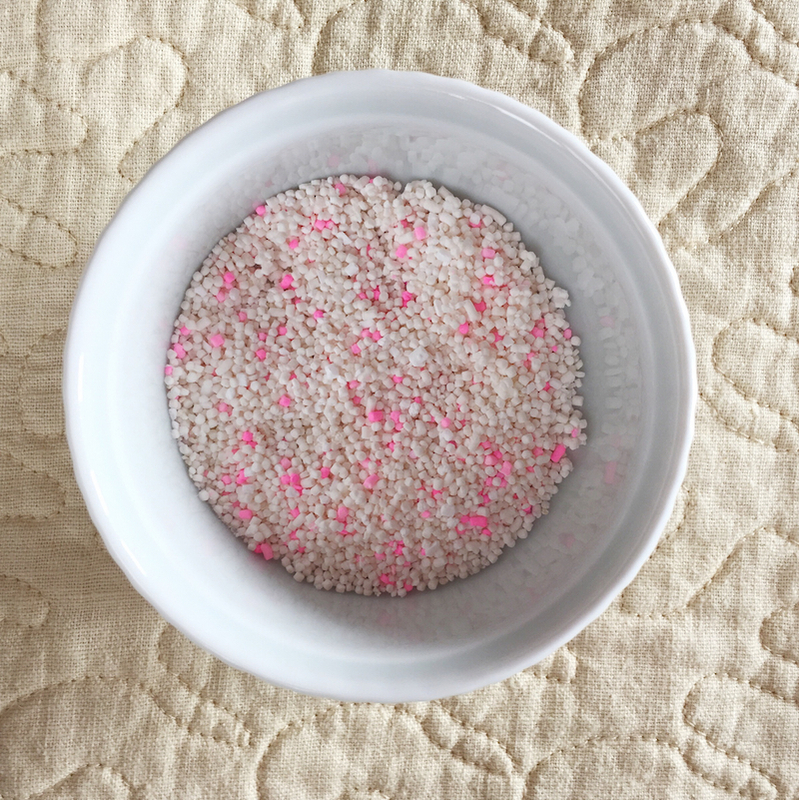 Overall, this detergent fills a rare niche: well-cleaning HE powder detergent with enzymes and without OBAs (only other example I can think of is MieleCare UltraColor, and Cheer Powder for those who are willing to risk a non-HE detergent in and HE machine Update May 2015: Cheer powder is now HE compatible!! Read more in this post.). Only cons are that in my machine it leaves clothes feeling rather stiff, more so that the Universal version, and doesn’t always tackle stubborn greasy stains (but liquids are known to better for those types of stains than powders). I also find the scent to be a little on the strong side, and much prefer the way the Universal version smells. I use this for all my dark and saturated colors, as well as for heavily soiled medium/light colors and towels that need some extra cleaning (on a regular basis I prefer liquid detergents for bath towels, so that they come out softer). It’s common practice in Europe to use different products for whites and colors, while in the US most people prefer the convenience of one universal detergent, which probably explains why alternatives are so difficult to come by. I purchased a small 10 oz bottle of Tide HE Plus Bleach Alternative for one reason: I needed a liquid detergent for whites to wash my wedding dress, but didn’t want to spend $20 on Persil Universal liquid. After the deed was done (and very successfully, to my great relief), I decided to use the rest of the bottle up on some regular white loads, and was very pleasantly surprised! It cleans almost as well as Persil, has a slightly stronger scent, and left grimy socks very clean, however did not tackle sweat odors on exercise gear as well as other options. An added bonus was that it left clothes softer than the powders, and the liquid can be used as a pretreater on especially stubborn stains. I will gladly repurchase and use in my rotation. There is also an HE powder version of this that gets very good Consumer Reports ratings (you can read more about it here, on The Sweet Home blog), however I did notice that the powder only has two enzymes vs the liquid’s four. Some of the reviews mention this detergent leaving purple spots on clothes, but I personally have never experienced that. 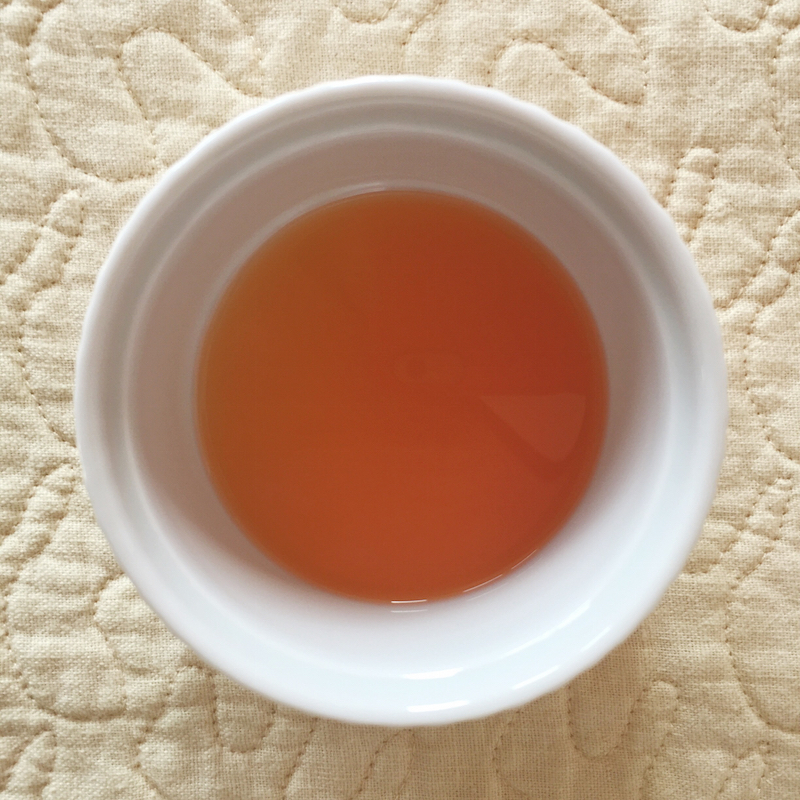 I wash whites on Hot (140F) or Sanitize (160F), which might help it dissolve properly. One major con – it seems that regular use of liquid detergents might lead to the so-called “stinky washer syndrome”, i.e. mold and smells in front loaders. One of the solutions is running at least one wash in hot water with a powdered detergent a week, and of course wiping off the gasket and leaving the door open between uses. 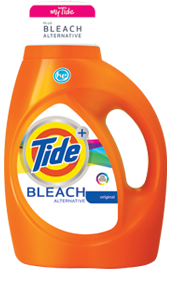 I had heard lots of good things about the Tide Total Care line, but of course when I decided to try it out it had just been discontinued. 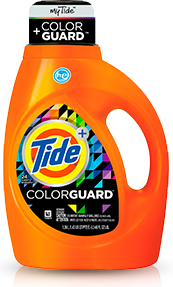 Tide recommends Tide Plus Colorguard as a replacement for the Total Care, but there is a bit of confusion there with the ingredients posted on the website being VERY different between the two products (you can compare here and here), and the Colorguard version not including all of the “color care” ingredients that Total Care had. This detergent contains OBAs, but according to Tide the concentration is low enough not to fade darks. I personally am not willing to risk it, so only use it on light and medium colors. The cleaning power is decent at the full recommended dosage, but when I tried to scale down and use less than the first fill line, I had some issues with odors lingering on gym clothes and berry stains not fully washing out of kitchen towels. It also leaves clothes softer than powders. My main issue with this detergent is the scent: it is VERY strong, and even when used at half of the lowest recommended dosage (halfway to fill line 1), I still have to make sure to air the clean clothes out for a couple of days. Surprisingly enough, it smells stronger on clothes than in the bottle! So if you are sensitive to scents, this might not be for you, however after some trial and error I have found the perfect solution: I use this on towels at a dose of 3/4 to fill line 1 with an added extra rinse. This leaves the towels soft and fluffy without any added softener (more so than with any powder detergent! ), and leaves a medium lingering scent on them. I prefer more fragrance on towels than on clothes – that way they still smell nice when you take them out of the closet 2+ weeks after washing. 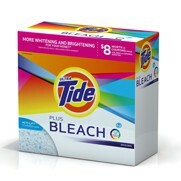 Tide Plus Bleach Alternative can be described as the North American Persil Universal Megaperls – both are strong powdered cleaners with a fresh, clean scent that is not overpowering. Both offer great stain removal and have OBAs and oxygen bleach added, and both are virtually impossible to buy offline (the non-HE version of Tide is in every grocery store and Target, but the HE version is not easy to come by). Both contain zeolites (Tide lists them as Sodium Aluminosilicate, Persil names them Zeolites) and leave clothes a little stiff without added softener. There are, however, some differences. 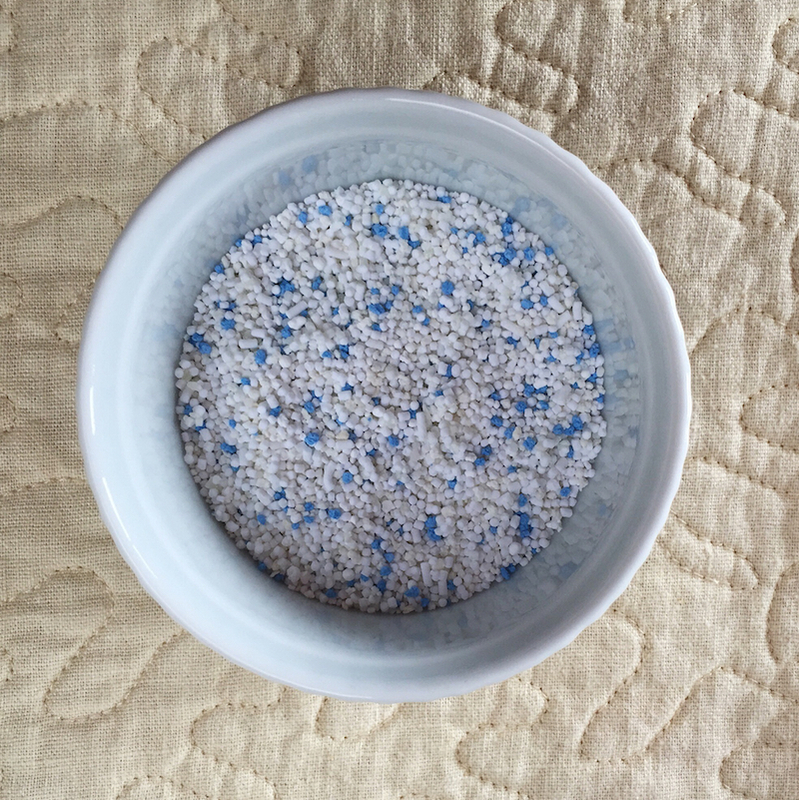 First of all, the Tide is a true powder while the Megaperls are larger granules that I personally find more convenient – less dust and easier to measure (although Persil offers a powdered version too: Persil Universal Powder). Secondly, in my experience I have to use at least the smallest recommended dosage of Tide (60 ml or 4 Tbsp) to get good results, while with Persil I can go down to 2 Tbsp, or half of what the package recommends. Thirdly, it has only two enzymes vs Persil’s five, and last but not least I find Persil to be slightly more reliable. With Tide I’ve had some variations – socks will come out super clean in one load, and not quite as perfect the next. I definitely had a fun time reviewing all these detergents. My method of testing is pretty simple: I used every one of the listed products at least several times on different loads of laundry: from strongly soiled ones containing gym clothes and cleaning cloths with wine and berry stains, to fine work clothes to fluffy bath towels. 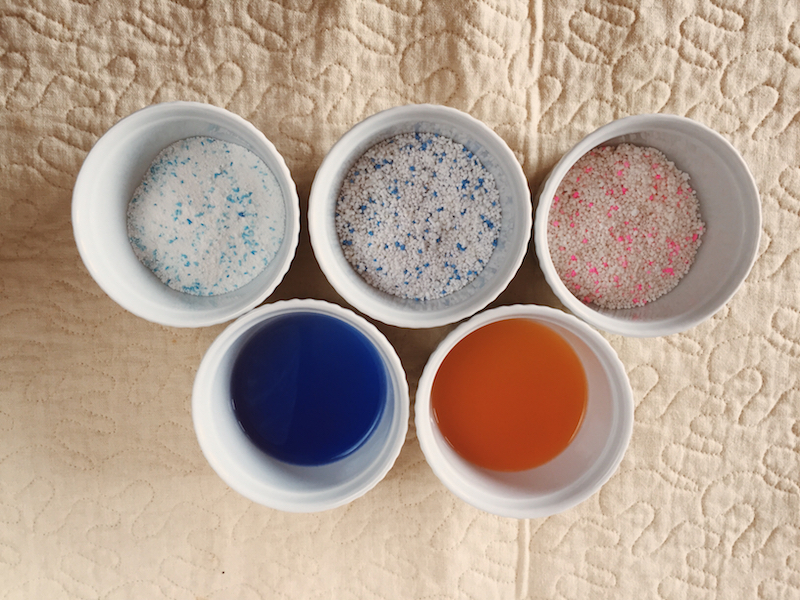 I then made notes of what I did and did not like about the results, and compared them to each other, trying to figure out which of these detergents come close to perfect and which I personally would repurchase. In my opinion the better detergent for colors is Persil Color Megaperls. While I am not 100% satisfied with it due to the scent not being fully to my taste and the stiffness issue, I definitely prefer the lighter scent and lack of OBAs that Persil offers compared to the Tide Plus Colorguard. However, for my next purchase I will be testing out the MieleCare UltraColor detergent – it is not cheap at $40 for a 48 load box (I like that Persil has the smaller, 18 load packs available so you can test the detergent out before committing to a larger size), but I am curious whether it will leave clothes softer (it does not contain zeolites) and how it will stack up against the Megaperls in terms of cleaning power. Update May 2015: Cheer Powder is now (finally!) HE compatible and is a great inexpensive option for those wanting to test out a detergent without OBAs. You can read more about it here. However, since there is still plenty of old stock, I’d recommend buying offline if you can to make sure that you get a new box with the HE logo. As for singling out the best detergent for whites, that’s a tougher choice, since both Tide and Persil perform very well. 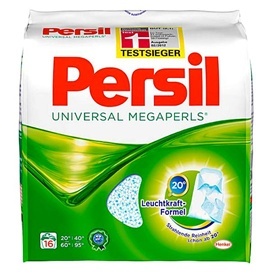 For me personally, the winner is Persil Universal Megaperls, just because I have found it to be more consistently reliable than Tide, and after the most recent scent change of Tide Plus Bleach Alternative I definitely prefer the scent of Persil. Since both products have to be ordered online (I have not been able to find the HE version of Tide anywhere locally, so ease of purchase does not come into play), Persil comes in more convenient smaller packaging and we do on average just two white loads a week, making the price difference not a deciding factor, I will continue to buy Persil. I also want to give Miele UltraWhite a try, but have to finish up at least one of my current detergents for whites first. Wrapping up the Tide and Persil chapter, I hope this has been helpful! Both brands offer plenty of other options, which I will eventually get around to testing, but for now I can’t wait to share my experience with other, lesser known brands. Stay tuned for more laundry info. 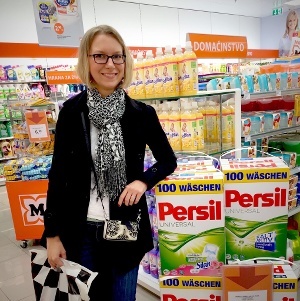 Update March 12, 2015: When I wrote this blog post only German Persil was available for purchase online. A couple of weeks ago the US version of Persil, Persil ProClean became available at Walmart stores nationwide! If you would like to read my review of Persil ProClean, check out this blog post from March 2015. Lots of pictures in there! Have you tried any of these detergents? Do you have any others that are your favorites? Please share in the comments! I’ll say this. I think the PowerPearls (aKa MegaPearls) are a lot better than the Color Gel. The powerpearls.. are exactly the same texture, scent.. everything as the German mega pearls. The Blue Color Gel @ Walmart, initially, has a sorta sweet scent (almost like bubble gum).. however, I think it’s the same as well to the Colour Gel from Germany. (Although, keep in mind, it’s been over a year since I’ve used the Gel). I did call Henkel, and they said the formula hasn’t been changed at all, and its the exact same as the German formula. Thanks so much for the update Cindy! Really glad to hear that and can’t wait to try the ProClean out. I won’t be tryng Persil as I refuse to shop at Walmart, hell would freeze over. Efore I go in there, haven’t been but maybe once i n 20 years, they treat their emloyees terrible. Just to clarify, the above review is for German-made Persil Megaperls detergents. Those are not sold at Walmart and are only available online (and there is a certain price premium). The American-made Persil ProClean is the product that is only sold at Walmart. So if you ever feel the need to try out Persil, but refuse to shop at Walmart, you can opt for the German versions instead! I used Persil liquid last year and to say that I was disappointed would be an understatement. I have a large dog that I made the mistake of welcoming into my bed 1 time who now refuses to sleep anywhere else. My favorite duvet is all white and has a grey border. It picks up every mouth booger he has and showcases it. When I used Tide with bleach ( liquid above) it would come out spotless. The Persil left stains galore! I don’t know if it was because i used too little, if the Borax messed things up or if the detergent just was not good but I was underwhelmed. I really wanted it to work because i was bored of Tide and thought I found something better. Anyway, it wasn’t a good experience. ANyway, thank you for reviewing the detergents. I love this page. Joe, your comment totally made my day!!! Thanks so much – how great it is to fond other people that get as excited about laundry as I do. Everyone I know in real life gives me a REALLY weird look when I bring it up, haha. Congrats on the Speed Queens, how awesome is that! I would definitely also be up all night playing around with the settings. By the way are you sure the regular rinse cycle isn’t good enough? I know that I was planning on adjusting water levels in my new Miele when I first got it, and then it turned out that this model doesn’t seem to have access to that adjustment menu. At first I was a little disappointed, but the machine actually rinses REALLY well even without that. So maybe the SQ are similar? Not sure if you ever venture into liquids, how does Persil Color Megaperls perform compared to Woolite Extra Dark Care as far as fading goes? 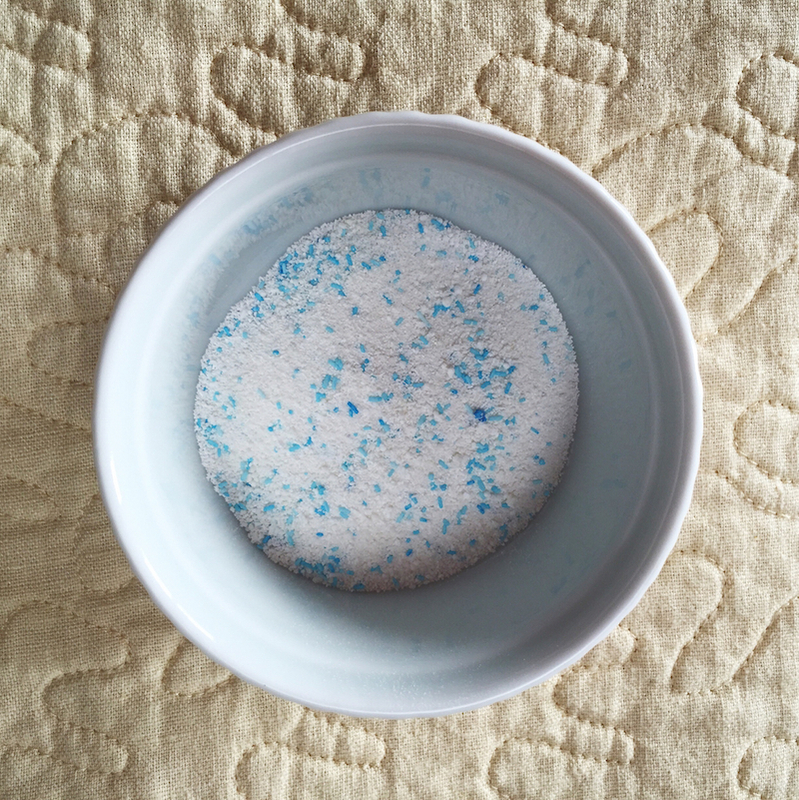 I typically wash with Tide when I’m not concerned about fading and Woolite where I am, but I find while Woolite is very gentle, it can leave stains behind, especially if you don’t have the chance to wash them before they set. I actually decided against trying the Persil liquids after I read multiple reviews where people complained about the strong scent which is a bit of a deal breaker for me. I’ve also read that the US Persil ProClean Original liquid smells just like the German Colors liquid, so if you’re sensitive to scents and have a Walmart nearby you could stop by to give it a sniff before you commit to a full bottle of German Persil. I would guess the reason you’re not getting good results with Woolite is that it doesn’t have enzymes (and is thus safe for wool and silk). 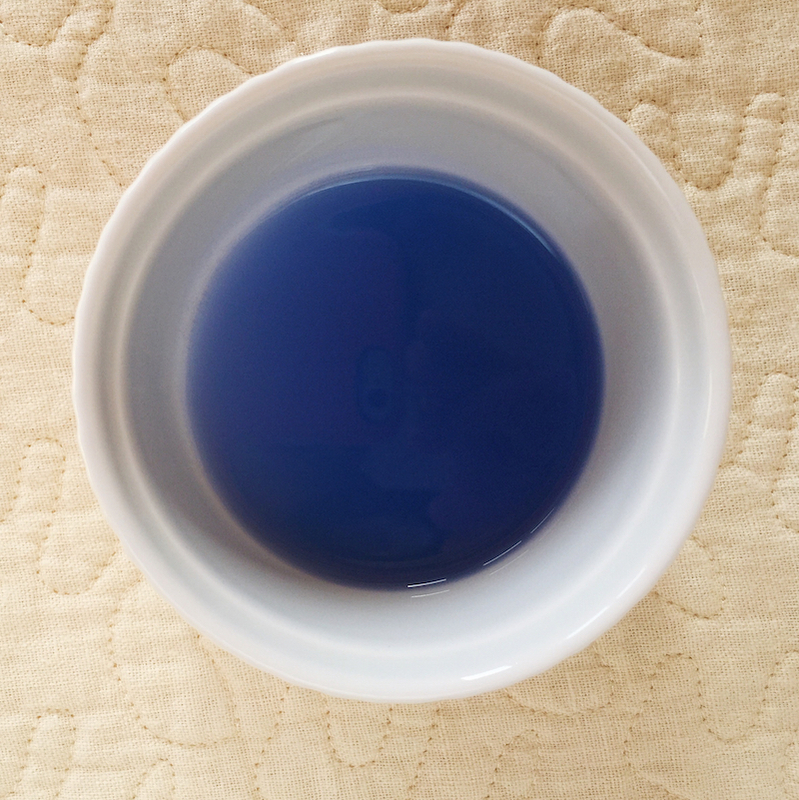 I wash all my colors with detergents that don’t contain OBAs (my current liquid favorite is the Caldrea line), and have found that while liquids do leave clothes much softer, they are also not quite as strong on the type of stains we have in our household as powders. Long story short, now for regular loads I just do a prewash with a color safe powder and main wash with liquid. That seems to give me the best results in terms of stain fighting and softness. If it’s an extra dirty load I’ll do powder only though! And if you’re super concerned about fading, you could always try out the Perwoll for Blacks. I personally have not experienced fading issues with any powders or liquids that don’t have OBAs in them, but then again we don’t wear a lot of solid black clothing (shedding Corgi in the house). Thanks for the fast and knowledgeable reply! I’m willing to try a powder; I have a stackable washer-dryer in my place and the washer is a non-HE toploader with an agitator. I’m Canadian, so I can’t get my hands on the Walmart Persil, but I’m lucky to live near a large supermarket that has a massive import section, and they carry German (Universal and Color Megaperls) and Latin American Persil. While expensive compared to Tide, it’s still significantly cheaper than ordering it online. Think it would be worth my while to try it? It’d be worth the investment to protect my clothes if it works. Also, I have found that one of the best treatments for oily stains are active oxygen dish detergents. I washed a blue shirt with a tomato sauce stain, and the stain just laughed at my efforts. I washed it again, this time with a dab of Oxi Palmolive on the inside and outside of the shirt, and it was as if the stain was never there in the first place. Thank you for sharing – I swear by regular Dawn for greasy stains as well! I’m a little concerned that the Persil line might end up being very pricey to use in a toploader… They usually require quite a bit more detergent than FLs, not to mention that they are formulated with HE frontloaders in mind and might not be optimal for TL use. Do you have access to Cheer Powder? I personally would go that route – it’s much less expensive than Persil, and the powder also has no OBAs (the liquids do contain them for some strange reason), comes in large boxes, plus it’s a P&G product so it will clean well. You could try that out and see how it works. 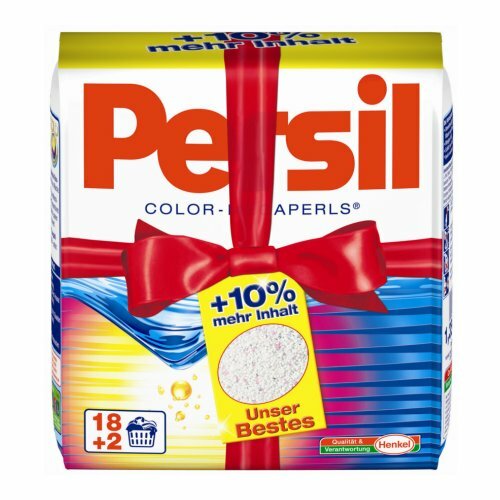 If you end up liking powdered detergents (be warned, clothes will come out less soft than with liquids) and are still curious, you could pick up some Persil Color Megaperls for your extra dirty loads, or add a little to supercharge the Cheer. Since I live in Canada, I can’t get Cheer powder, and if I were to order it from the ‘States it would wind up costing 1.5-2x what Persil would cost. According to P&G, it is, or was, available here but I haven’t yet seen it. I actually like the crisp feeling of powders too. I think I’ll stick with my current regimen of Tide (giving powder instead of liquid a try) and Woolite for routine loads, but pick up a small box of Persil Megaperls for the odd load of extra dirty colours I’m concerned about, and maybe the Universal to boost my whites when necessary. OMG!!! I’ve been searching for some blogs to do an in-depth review for laundry detergent and, voila! I found yours!! I’m Thai, I live in Thailand and we have ONLY two major detergent brands. One is Breeze powder from Unilever, which have the Excel Gold line for front-load or any machine which is the best for its (highest) price in market, about $3.5 for their smallest 31.74 oz. pack. And the other one is Attack from Kao, Japanese company, I really hate it. It is cheaper than Breeze, but it clean worse and you can really feel that it’s absolutely not friendly to your hands but it still can’t truly wash your clothes. I get bored and looked for another brand. We have SA8 from Amway but I find that most of the time the Amway agents are way toooooo boring and annoying. And when I was in the (ex) most luxurious department store in our country, they have Tide, Persil Universal andPurex! Tide and Persil are just too expensive for me (both are $16-17 without discount) so I bought Purex and it was fine! $7-8 for their 1.47 oz. bottle, clean my clothes well. Enough saying, your blog is obviously amazing. You’ve got one more fan! Thank you so much for your comment, Moo! How exciting to hear from somebody so far away! I actually tried both Attack and Bold when we were on our honeymoon in Japan and was left quite disappointed – I felt that it really faded clothes quite a bit, so I don’t blame you for searching for alternatives. I personally have not used SA8 (agree with you completely on the “consultants”), but have heard good things about it, granted it is pretty expensive. I’m definitely glad that you are enjoying your new Purex! Laundry is so much fun, and I’m really glad you could find something of interest in my blog.